Having a password on your personal computer is a generally good idea. This provides you with greater security for your personal files and makes it difficult for people to gain access to any valuable information on your PC (unless you grant them that access). However, sometimes you may not have the need to use a password and having one can turn out to be more of an annoyance than anything useful. In those cases you might feel the need to have it removed. This is done easily on older versions of Windows. However, if you are using Win 10, you may’ve found out that there’s no setting that enables you to remove your password. This can be kind of frustrating since you’re supposed to be in full control of your own PC. However, that is misleading. You can actually remove your password – when you go to the settings to change it simply leave the field blank. There are several ways that you can remove your password even without an actual button that does it for you. In this article, we will show you two possible ways to do it. Both of them work and will disable the password feature in no time. It’s up to you which one you will find easier to execute. 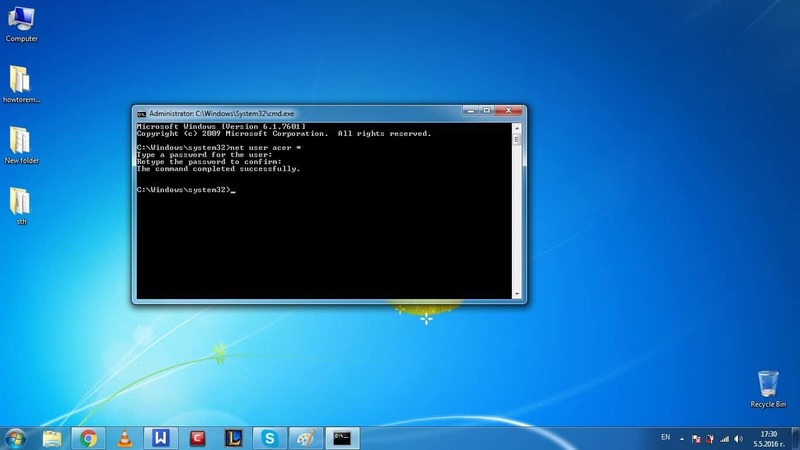 The command prompt is a very helpful tool that can be used for an enormously large amount of tasks. It can help us in this case as well. In order to open it click on your start menu and type in the search field cmd. Right-click on the first search result and from the drop-down menu choose Run as Administrator. In the command prompt type net user “user name” * (user name – your current user name without commas) and press Enter. Now press Enter again (without writing anything where it says type in password). Now hit Enter for a third time (again, don’t write anything in the text field). By doing this, your password will be set to an empty text field, effectively removing your password whatsoever. This should be enough to disable the login pass. Restart your PC and it should all be fine now. 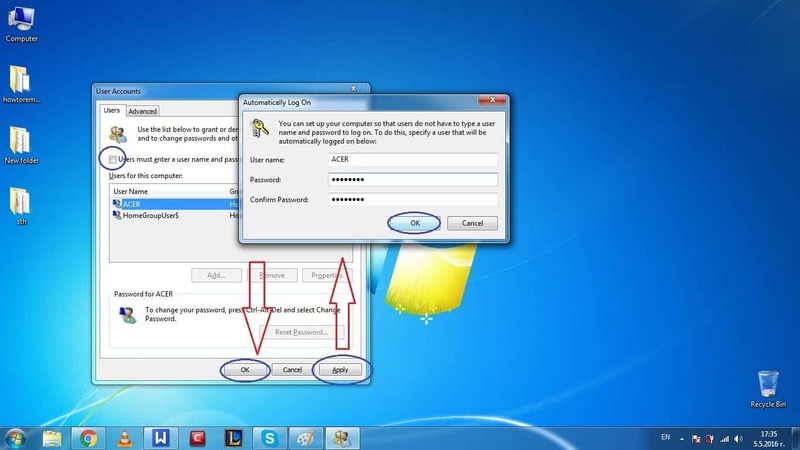 Another easy method to remove your login password is by using the User Accounts window. In order to access it use Winkey+R keyboard combination and in the search field type in netplwiz. After that hit Enter. In the resulting window you should be able to see a setting labeled User must enter a user name and password to use this computer. 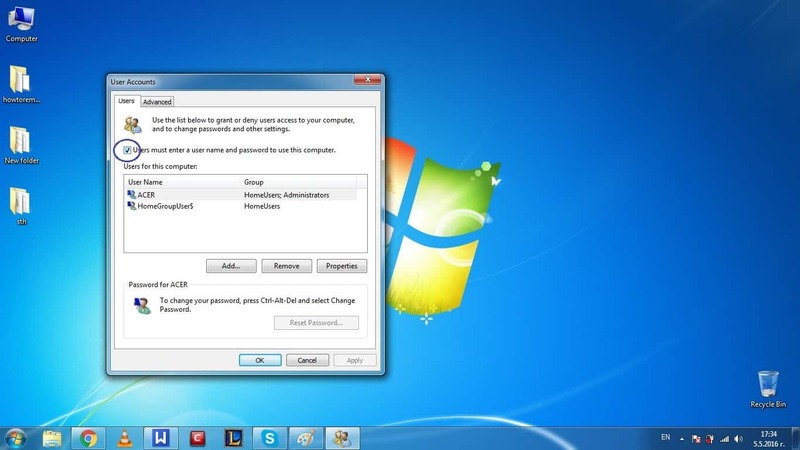 This setting controls whether you are greeted by a log-in screen requiring a password every time you start windows. You should disable it. You will be asked to type in your current password and then confirm it. 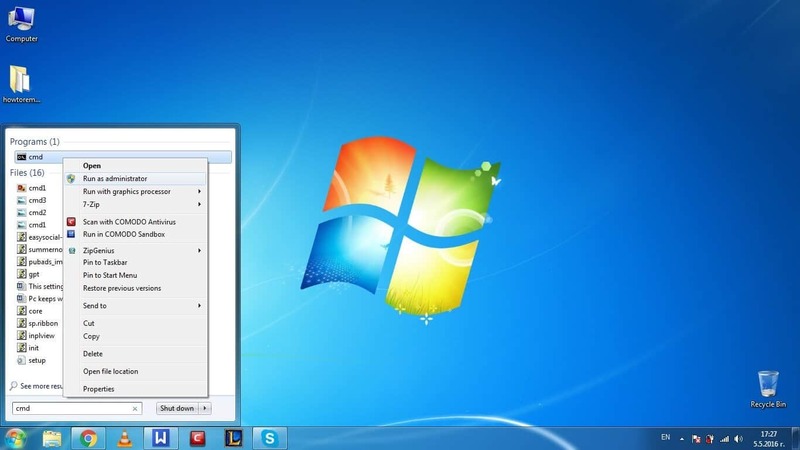 Do that and press OK. After that press OK in the User Accounts window and restart your PC. 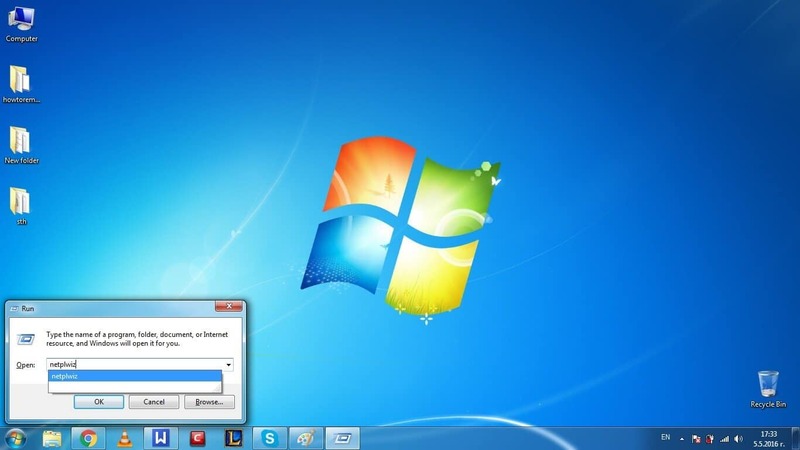 When Windows loads again, you should no longer have to type in a password so as to be able to use your PC. Either of these methods should do the job for you and the effect will basically be the same. If you ever feel the need to enable your password again, here’s what you need to do: Click on Settings from the start menu and then go to Accounts. Open Sign-in options. Click on the Add under Password and type in your new password. If you use these simple tips should help you deal with the removal, resetting and re-enabling of the login password. Did we help you? Do you have any feedback? Feel free to share your thoughts in our comment section below. Thanks for reading.